Gary was born in Pasadena but mostly raised in the small desert town of Needles, California. He attended Santa Barbara City College and obtained an AA degree in Economics and attended California State University of Long Beach and graduated with a BS degree in Business Administration/Management. 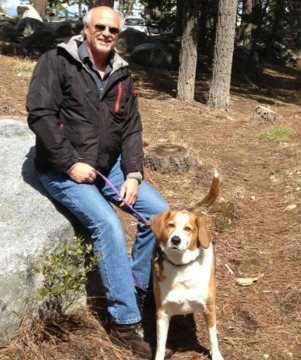 Gary began his career after college working for a hospital management company, and later became the Director of Finance for a rural hospital in the San Joaquin Valley of Central California. He left the hospital field to start a consulting company doing finance and sales training, including working with a large realty company in Visalia, California. Gary then was hired to start a new division in a beauty products distribution company. Gary had two partners and he was part owner of his division. That division grew from just himself to servicing four states, a sales team of approximately 50 salespeople, and annual sales of $21,000,000 by the time the company was sold. Gary retired at the age of 55, a life-long goal. Retirement became too slow, and after moving to Northern Nevada Gary wanted to become involved in real estate sales. Gary has found real estate to be the most enjoyable career choice because he enjoys people, enjoys real estate, and loves the Carson Valley. Gary and his wife, Susan, met in high school and have been married for more than 42 years. They have two children, Adrienne and Tony, a daughter-in-law Jackie, and a grandson Emmett. All of the family live in Northern Nevada where they enjoy the beautiful setting and the more rural lifestyle it provides.